Meat loaf is still an awesome comfort food. It takes good amount of time to bake the traditionally meat loaf. You can make these mini loaves in less than half the time of traditionally meat loaf and still have that great taste. You can meat loaf in the summer months without heating up the kitchen. 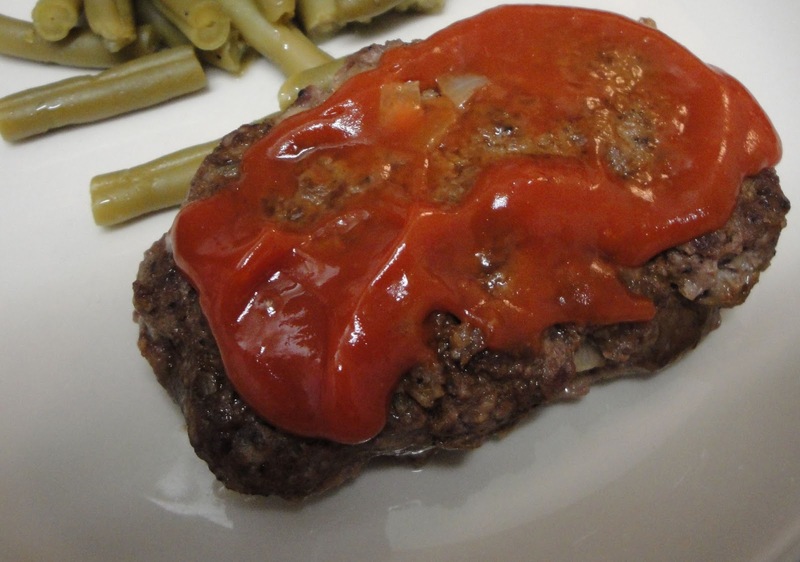 In a bowl, combine ground beef, stuffing mix, onion, egg, 1/4 cup ketchup, worcestershire sauce, salt and pepper. Shape meat mixture into 4 small loaves, about 1/2 inch thick. Heat oil in large skillet over medium heat. Brown meat loaves on both sides. Drain grease. Pour beef broth over loaves, reduce heat medium low, cover and cook 15 to 20 minutes, until no longer pink. Keeping an eye on the loaves. Serve topped with remaining ketchup. Is the stuffing mix "Stove Top" or just regular stuffing (ala Pepperidge Farms)? Also do you crush the stuffing so it is breadcrumb-like or leave the pieces whole? I used regular stuffing, but you can use "Stove Top." I didn't crush the stuffing.